I just happened to find this article. As much as I am disinclined to label things or people, most especially myself, this does a pretty good job of hitting me where I am. Haven’t blogged much. I’m afraid all I would blog about would be political and I’m not sure I want to go there…here… what? It is amazing to me how people can watch/listen to the exact same debate/speech/ad and take such completely different perceptions from it. I was once in a small group where we watched the movie “Leap of Faith” with Steve Martin. At the end, I was flabbergasted to find that at least one person was 100% convinced of the outcome of the movie being 100% the opposite of what I thought was going on. Had we not sat and watched the movie at the same time, I would have questioned if he’d watched the same movie at all. It is a constant endeavor for me to try to watch/listen to every debate/speech/ad as objectively as I possibly can. I want to identify spin and I want to be able to poke holes in illogical and misleading assertions. I know that I am incapable of catching everything, but I’m also certain that others are not nearly as meticulous in their discernment. So, how are we supposed to set a course from here? There’s no point denying that Scarlett Johannson was a motivating factor in placing this movie on our Netflix queue. H knows that since Lost in Translation, my interest in Miss Johansson has been nearing Kate infatuation proportions. But H has been having dreams about Jason Bateman lately, so I’m not going to worry about it too much. But, as I said SJ was only a factor in putting this on the queue. Holly sometimes wonders why in the world I want to watch some movies, and sometimes, I honestly can’t say. Sometimes a trailer just piques my curiosity. The fact that this was written/directed by Woody Allen and that it looked to be kind of dark seemed compelling. It was interesting. It started with a shot of a tennis ball hitting the top of a fence and bouncing straight up. The main character overdubs a soliloquy talking about how life seems to be just about luck. Like in tennis where sometimes you hit the top of the net and for a split second, you don’t know where the ball is going to go. Sometimes it goes over and you win. Sometimes it falls back on your side and you don’t. Spoiler Alert: There’s not any kind of huge surprise ending and this movie has been out for awhile, so if you really want to see it and don’t want anything given away, stop reading now and go watch it and come back and read this later. I’m just not going to worry about spilling the beans on anything. At the start of the movie, the lead character has just quit the pro-tennis circuit. Apparently, he’s tired of all the travel and not having any money or anything to show for his efforts. He seems to be good at tennis, but just hasn’t had the breaks that would make him a big star or champion that would mean he wouldn’t have to worry about money anymore. So, he starts making friends with wealthy folk. He makes a friend and meets the friend’s sister. Sister and family immediately like him and Patriarch offers him a job with this company with hints that he could go far, (especially if he and the sister get serious). Before the expected betrothal, he meets his friend’s American Actress fiance (SJ) and is immediately smitten. However, he realizes he’s got himself a future with the rich girl and her family’s money and support and doesn’t want to upset the boat with his friend or the family. In spite of one afternoon tryst with the other guy’s fiance, he marries the rich girl. The next thing he finds out is that his friend has dumped the actress. Main character proceeds to find and get into an affair with actress while his wife is desperate to get pregnant and start having babies. Of course, the mistress, who main character is obsessed with gets pregnant first and lays down the ultimatum that he tell his wife or she will. He’s torn between his “passion” without a future and his “future” without passion. If he left his wife, he’d be without anything. He’d lose his career, his newly acquired affluence and opportunity to gain more. The themes of passion and luck’s role in finding success in one’s pursuing one’s passions intrigues me. He gave up on his passion for tennis because “luck” didn’t lead him to wealth and prosperity in that pursuit. Only then, when he turns his attention to pursuing wealth, (which seems to me a terribly hollow pursuit) he finds luck corresponding success with relative ease. But then, is he lucky or not? In the end, when he chooses between the passion w/o future of the American Actress or the future w/o passion, he again ends up with a striking bit of luck that allows him to get away with having his cake and eating it too, but leaves one wondering if, in the end, he turns out strikingly lucky or strikingly unlucky. I always find myself disappointed in my blogs where I attempt discussing this sort of thing. I’m sure that if i spent more time working on the writing, it would make more sense and have something worthwhile for you faithful readers to explore, but the movie wasn’t that great to spend too much time pondering. However, it keep circling in my mind, so I thought if i wrote something about it, I could give it a rest. 2 points to comment on the literary reference of the title. 10 points if you’ve actually read it. So, I’m not much of a lawn man. I don’t think I’m very good at it. Growing up, I had horrible allergies that got me out of having to mow the lawn or take care of a lawnmower, so I never learned how to do those things. I’m not sure exactly how much i grew out of those allergies, because sometimes I feel like a big old pile of wheezing, snot-filled, pile of crap when I finish, but now, as a home owner, it’s my job. It’s not that I even hate it so much. Sometimes, I kind of like it. Except for the allergies part. And the getting hot, sweaty, dirty part. But on a nice cool day, when i remember to take my wal-zer, it’s kind of nice. 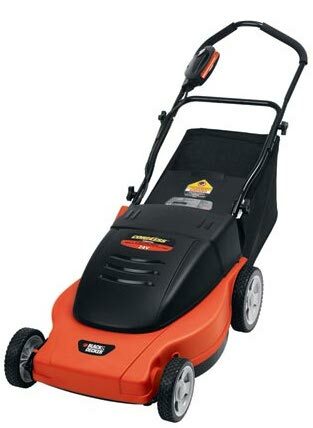 I dig it because I don’t have to worry about gas/oil/exhaust/smell which eliminates one of the things that I don’t like about mowing: the getting dirty/maintaining part. The problem is that it’s not that powerful. I can’t even really get over my whole front yard (which is not huge) without it really struggling. I don’t know if this is simply because I have thick grass and because Arkansas is a Sub-tropical climate (see, i’m learning something in AR history class that I’m TEACHING) that makes the grass almost always wet to some degree. And the mower really doesn’t like wet. There are times that I definitely would hire the lawnmower man (again, literary reference) given the opportunity. 10 Local Original Acts! 10 Hours! $10 at the door! Come and go! Enjoy the day at the retreat center! Bring the family and kids! Tell all your friends and bring them too! Enjoy great, original live music! barbecue/sandwiches/hotdogs, soft drinks, bottled water, etc. I know many of these folks and although I realize it would be a test of stamina to be there the whole day, it’s going to be worth it. And if the weather is like yesterday, that retreat center would be a nice place to hang out all day. To reward any of the faithful readers of this blog if you want to go and get in touch with me this week, I can get you tickets for $8 instead of $10. Relationally: I’ve been married to a wonderful woman for 15 years. There’s no way around the fact that in this day and age, that is a huge accomplishment. The fact that we still have fun together, we still laugh, we still like to be together seems to be blessing heaped upon blessing. Yes, she is so giving and so good and puts up with my laziness and shenanigans, obviously I lucked out. But, I also get the feeling that she really still likes me, too. She has always encouraged me and has always been willing to follow me into any craziness that I’ve attempted. I know many a musician who’s biggest struggle has been a spouse willing to trust them and their dreams to provide. Even when my dreams barely provided, H has always been unrelenting in her belief in me. How could I be deserving? Neither of us feel like we regret waiting 13 years to have our first child, but Ivy is also too much blessing for words. She’s healthy, smart, goofy, easy-going, and generally been nothing but joy in my life. She has her moments like any 2 year old, but as she’s started communicating better and better, H and I are often surprised at what a fun sense of humor she seems to have and how much we’re loving watching her experience the world. I am so thankful for the fact that my mom and my sister are both healthy and well and that I have a great relationship with both of them. My mom has always supported me and been there to help whenever she’s able. It’s fun to see her be so excited and so in love with her grand-daughter. I’m thankful that she’s still feisty and in good health to be a part of my family. My sister is easily one of my favorite people on the planet. I believe she may be the most creative, talented, and generous person I know. She challenges me and encourages me and makes me laugh. I love that we are friends as well as siblings and am often jealous of her time and attention. I only wish we were closer geographically and were able to work on some more projects together. I don’t have a big family, so it’s even more huge that the family I have is close. My only disappointment is that my dad is gone. I’ve said before and I’ll say again that I often feel cheated that I was just reaching an age where I could see relating to my dad as an adult when he died. I often consider my own feelings and the way that i react to people and situations and realize that so much of who I am comes from the way my parents raised me. It’s even more amazing to know that my dad had so little model to go by for himself. To know that, by and large, he was “winging it” as a father to me make me even more thankful for the traits that he passed to me. I’ve accomplished things that I so want to share with him. I would love to talk to him about how I’m teaching now and share that experience as well. It would be so fun to see him fall in love with his grand daughter. Professionally: For nearly all of my adult life, I, like many males, have defined myself by my profession. And I have loved defining my profession as being a singer/songwriter/producer/musician. I learned early on (and had to keep re-learning and reminding myself) that as a musician, you have to define what “success” looks like. Monetary gain is a poor indicator of success in nearly any profession and fame is even worse. And frankly, were I to measure my own success in those terms, I’d have little to show. However, I am proud of many professional accomplishments in this arena. I have released and paid for numerous full-length recordings of my own music. Releasing single full-length recording is an accomplishment in and of itself. The fact that I’ve released records that 1) I’m proud of the songs and the recordings 2) the records sold well enough to pay for themselves is a HUGE accomplishment by any one’s measure of success. I have received some recognition for my songwriting and recordings and I am confident that I’m not delusional in my understanding of that success. Granted, this is kind of a weird topic in my life right now. For the first time, I am redefining myself at least professionally. I am now a middle school teacher. And although I struggle to accept this new definition of myself and leaving the old definition of “professional singer/songwriter” behind, the fact is that I think I’m a pretty good teacher. In my certification modules, I feel like I have an intuition, ability and understanding of what is important and necessary that rises above and beyond many of my fellow novice teachers. I won’t say that I’m the best, and I am definitely still learning, but I’ve been convinced since early on in this process that I can do this better than most. In my current position, I am working in a great, small school with co-teachers that i really like. I have students who remind me a lot of the students that I grew up with. I enjoy a good, but not ludicrous amount of responsibility with an abundance of leisure time to spend with my wife and daughter that the teaching profession provides. I don’t make gobs of money, but am immensely proud of the fact that we are making our way out of debt and that H gets to stay home and raise our daughter. I also don’t have to worry about being laid off like so many professions. My job is generally secure as long as I want it. Of course, I wish that I could figure out a good way to make more $, but often times I realize that there are very few things that I want beyond what I have. Physically: Ok, so I’m not the skinny kid I was when I grew up. It would be great if I lost about 30-40 lbs. In spite of that, I’m pretty healthy and so is the rest of my family. My cholesterol check out ok, my blood pressure was good last time and I don’t have to visit the doctor more than 1 or 2 times a year for sinus infections/colds etc. My 20 year class reunion will be in 2010. With my mom not living in my hometown anymore and the fact that I didn’t even go to my 10 year makes me think that there’s very little chance I’ll be motivated to go to my 20 year reunion. But one way or another, I plan to have shed this weight and get in better shape by that time. Spiritually: My spiritual life looks much different than what I would have predicted even as recently as 10 years ago and radically different than what i would have hoped 15-20 years ago. Previously, I’ve had in mind a very rigid definition of what “living the Christian life” looked like. I, like many, would say that “living a Christian life” had a lot to do with daily devotion and meditation, prayer and scripture memorization, purification of the heart and mind by these acts of personal discipline. I know that many may be alarmed by the fact that I disbelieve most of these narrow definitions of manifestations of Christian spirituality at least in how they relate to me and my life. For me, regular prayer and meditation have less to do with personal seclusion and silent petition to a audibly silent diety. I think prayer includes personal reflection, being thankful, being thoughtful, observing and embracing beauty, and in all of these things trying to remain open to God’s presence at all times. This is not an excuse for the lack of prayer in my life. I struggle with it. I need to reflect more. I need to be open to God’s moving more. I need to be more thankful. I need to notice and appreciate the beauty around me more. I often think of Tevia in Fiddler on the Roof. His faith and his prayer life seem real to me. He spoke his frustrations and his fears to God all the time. He was thankful and he accepted God’s providence. In terms of scripture memory, I have a really bad attitude about it. Christians are so good at making sound bites out of the Bible and memorizing scripture seems to promote that way of thinking about it. It allows people to use scripture to be used in ways that I don’t think were ever intended. There were no verses or chapters when it was written. It was not intended to be a handbook or text book. It is NOT “Basic Instructions Before Leaving Earth”. It is a collection stories and poems and histories and legends and songs. I think that’s on purpose. If God wanted to give us a handbook, he would have done so, and when we have a question about abortion or gay marriage or stem cell research, we would be able to look it up in the index and find the text that tells us exactly what to do, how to think, and how to feel. And many Christians tend to treat it like that, but they’re never going to convince anybody outside the fold of scriptures power as long as they try use scripture in that way. In fact, I dare say that by using scripture in that way, in the way it was not intended, successfully continue to repel those who have not embraced its message which is so much more complex than any soundbites we make out of it. It would be easy to say that my personal definition has changed in order to accomadate my own lack of discipline and wavering motivation and flimsy devotion. I think this is a valid point and concede that it would be easy to judge me in this way. The good thing is that I don’t believe that God judges me in this way and I don’t really have to worry about what you think. So, I say all this with fear. I am so thankful, but fear that the other foot will eventually fall. I just try to be thankful and appreciative of all that is good in my 37 years of life.